Teaching math doesn’t have to be daunting and overwhelming. 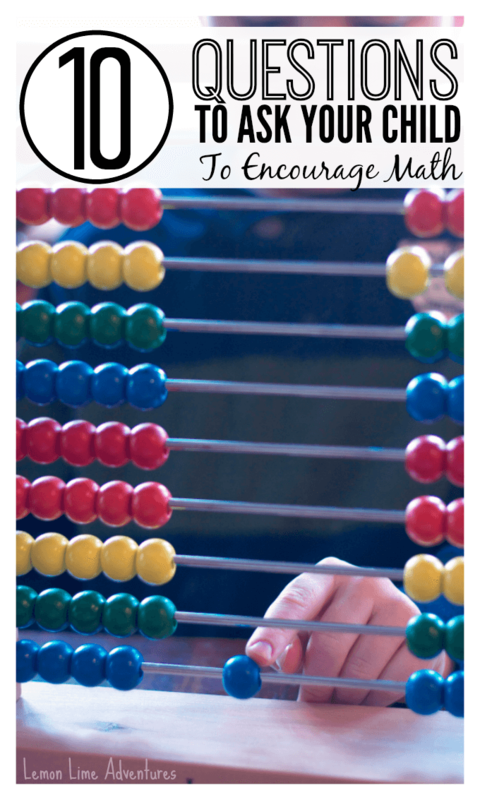 In fact you can find simple ways to encourage math during everyday adventures and activities. When I was in the classroom, I was always trying to encourage math thinking through simple discussions and the way I talked to the children. 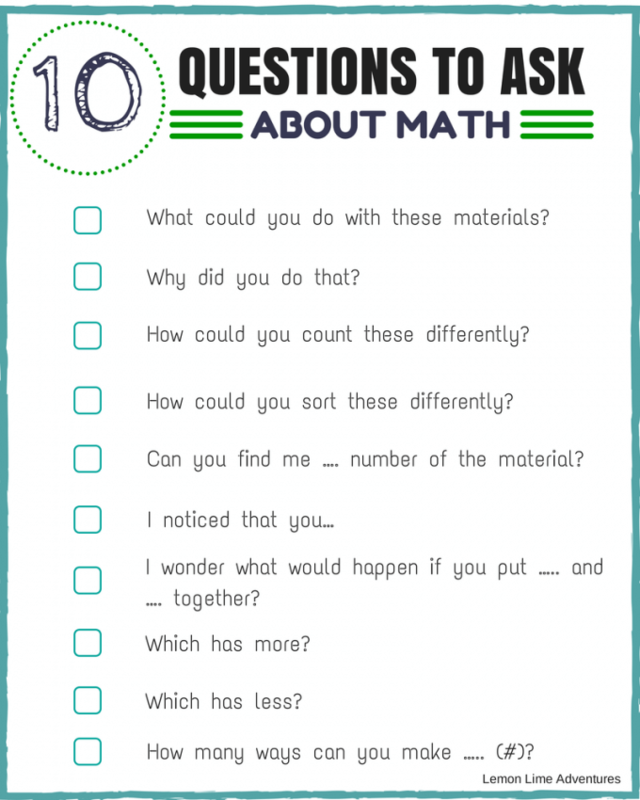 It was common for parents to ask how to encourage this same conversation at home with their children, so I have compiled 10 simple questions you can use to encourage math thinking with your learners anytime, any age, and at any skill level. The idea is to get them thinking instead of just giving them the answers. 1. What could you do with these materials? 2. Why did you do that? 3. How could you count these differently? 4. How could you sort these differently? 5. Can you find me …. number of the material? 7. I wonder what would happen if you put ….. and …. together? 10. How many ways can you make ….. (#)? The great thing about these questions is that they work for open ended and directed learning adventures, the same. These questions can be used at the grocery store, in a classroom, at the park or during a stroll around the block. The goal is to get kids talking and thinking about math. Get them to think about the why behind the problems and learn to explain their thought process behind their math explorations. Want to keep these math questions handy? I have made a handy printable sheet you can hang, laminate, or place in a reference binder until they become part of your daily conversation. What would you add to this list of questioning? I would love to know! Leave me a comment or stop my Facebook and tell me! Also, don’t forget to connect with me on Facebook, Twitter, Google+, Pinterest, Instagram or subscribe by email so you don’t miss our next adventure! Thank you so much for posting this! I love all of the open-ended and Bloom’s Taxonomy-style questions. My four and a half year olds just started pre-k, this will come in very handy while we review what they are learning, and in small group. Thank you for sharing!